A homeless Calgary woman who returned a purse holding more than $10,000 to an Edmonton couple has moved into her own apartment. 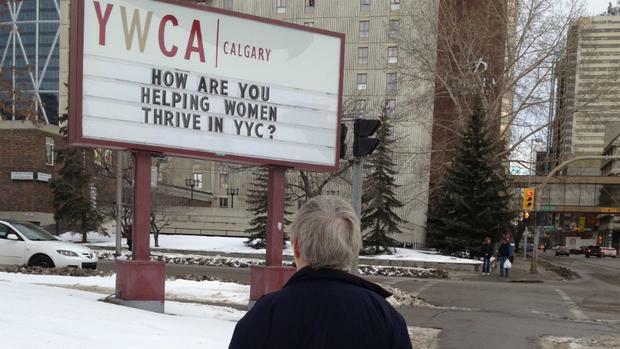 Last fall, a 62-year-old Calgary homeless woman turned in a purse she found to the police. Inside it was $10,400. "I was never sure what I would do in a situation like that and I found out I did the right thing and I really like myself for it," she told CBC News. Her good deed was named Calgary's most heartwarming story of the year by CBC viewers. The owners of the purse, a couple from Edmonton, were so moved by her honesty that they gave her a $500 reward. A trust fund was set up in her name at a local bank. And while donations didn't pour in — "they kept coming in a trickle," the National Post reports — two weeks ago the woman learned she had enough cash to enable her to rent an apartment at a subsided seniors' complex. Thanks to the generosity of strangers, the woman, who chooses to not be named in the press, recently moved from a homeless shelter into her own apartment, and has even been reunited with her cat. "I love it. It's great being here and of course to get my cat back that was a big part of it," she said. "It is a bachelor suite," she told the National Post. "And it is really starting to feel like home. I am just so thankful to the people that donated money on my behalf. I think it says a lot about human nature and, personally, I think a lot of people — had they found that money in the purse — would have done exactly what I did."